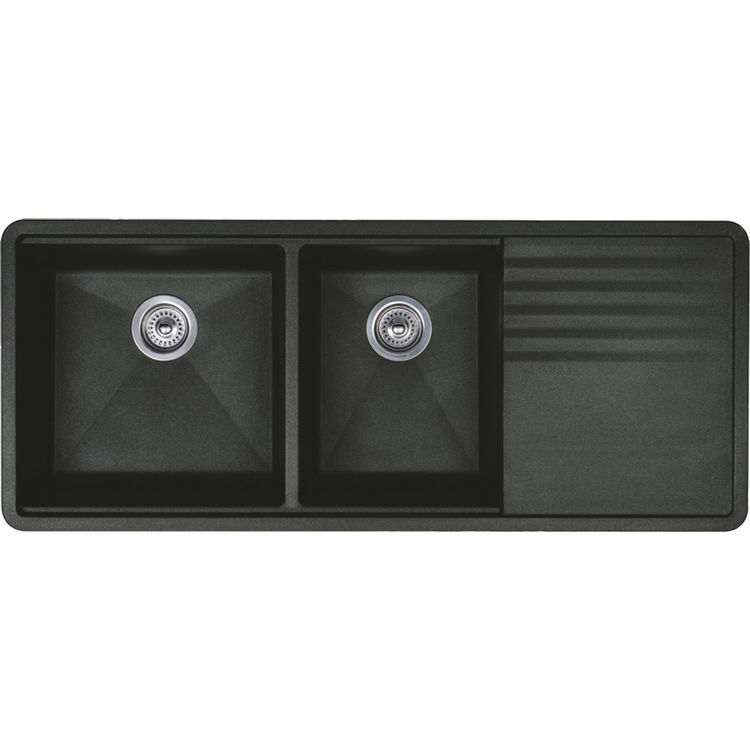 Blanco 440408 Precis Mult-Level 1-3/4 Bowl Sink Package (Anthracite). This highly-functional 1-3/4 bowl sink package comes with a sliding walnut cuttting board that is custom sized, a stainless steel colander, and three sink grids. The bowls are each 9-1/2" deep, and the sink itself is constructed of 80-percent solid granite. This sink is heat resistant up to 536-degrees, and is resistant to scratches, stains, and all household acids and alkali solutions. This model comes in a beautiful, Anthracite finish. Available in 8 classic colors including our new Cinder. Rated 5 by Cynthia W.